American actor Ryan Phillippe gained fame in his early career for starring in films such as I Know What You Did Last Summer and Cruel Intentions. Further, he went on to star in films like Gosford Park (2001), Crash (2004), Stop-Loss (2008), and The Lincoln Lawyer (2011). He played the lead role of Bob Lee Swagger as well as served as a producer in the hit TV series drama Shooter. Ryan Phillippe was born on September 10, 1974 in New Castle, Delaware, USA. He is currently 44 years old. He has French. English, Scottish and German ancestry. Ryan attended New Castle Baptist Academy. He graduated from New Castle Christian Academy in Wilmington, Delaware. Ryan’s mother Susan ran a daycare center in their house, and his father Richard Phillippe was a chemical technician. He has three sisters, Kirsten, Lindsay, and Katelyn. Phillippe was married to actress Reese Witherspoon from 1997 to 2007. They both first met at her 21st birthday party on March 22, 1997. They fell for each other and started dating each other. The couple got engaged in December 1998, and they married on June 5, 1999, at Old Wide Awake Plantation near Charleston, South Carolina. She was six months pregnant at the time of their wedding. The Hollywood’s hot couple broke their marriage vows in October 2006 and their divorce was finalized the following year. They had two children, a daughter, Ava Elizabeth Phillippe, born on September 9, 1999, and a son, Deacon Reese Phillippe, born on October 23, 2003. After the divorce, they both share joint custody of their children. Post-divorce with Reese, Ryan dated Australian actress Abbie Cornish for over three years from 2007 to 2010. He had a short-lived relationship model/actress Alexis Knapp in 2010. Knapp gave birth to Phillippe daughter in July 2011. He then went on to date a law student Paulina Slagter in 2011. She was 17 years his junior, and in fact, the two even got engaged in December 2015, before they split in November 2016. According to tabloids, the two are still in close relationship. In between, he had a fling with actress Ashley Greene in 2013. There’s always difficulties and challenges in every life, I don’t care how much money you make, where you live… and that’s something this film speaks to. Ryan Phillippe made his acting debut as Seaman Grattam in Tony Scott’s submarine film ‘Cromson Tide’ in 1995. Ryan got his start in television in 1992, playing Billy Douglas on the ABC sitcom ‘One Life to Live’. He starred in a total of 13 episodes until 1993. Phillippe came to stardom with the success of the 1997 horror film ‘I Know What You Did Last Summer’. His performance in the film was highly appreciated by critics and fans. He was nominated for ‘Blockbuster Entertainment Awards’ in the category ‘Favorite Supporting Actor: Horror’ for his work in the film. The film grossed around $126 million against the production budget of $17 million. Some of his notable work in films include 54 (1998), Cruel Intentions (1999), Gosford Park (2001), Crash (2004), Flags of Our Fathers (2006), Breach (2007), Stop-Loss (2008), MacGruber (2010), and The Lincoln Lawyer (2011). 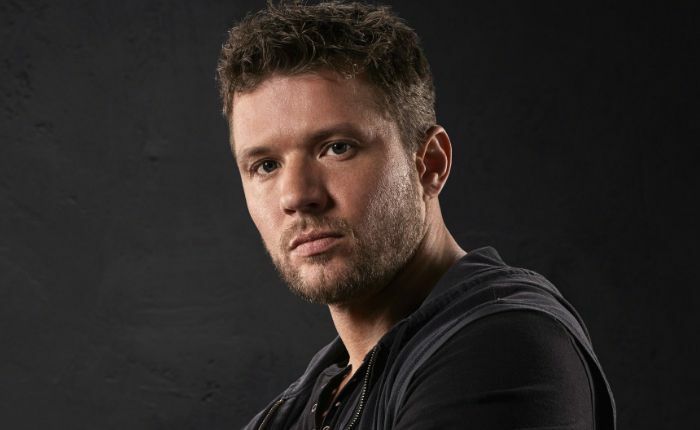 From 2016 to 2018, Phillippe was cast as Bob Lee Swagger on USA Network drama series, ‘Shooter’. The series was based on the novel Point of Impact by Stephen Hunter. He has done endorsement work for brands like Armani Jeans and Nintendo in the past. It’s nice that people want to compliment you in some superficial way, but I’ve never considered that that’s how I might be categorized. I guess it’s better than being called ugly. In an acting career spanning for more than two decades, Ryan has accumulated a net worth of $30 million. He resides in Los Angeles, California. He grew up in New Castle, Delaware. In school, he was good in sports. He also has a black belt in Taekwondo. Ryan was discovered by a local talent scout while he was at a barbershop in Delaware. He was successful in both small and big screens. Over the years, he has given a number of commercially successful films like Gosford Park, Crash, and Flags of Our Fathers. In 2010, he portrayed the Pulitzer-Prize winning photographer Greg Marinovich in The Bang-Bang Club. He turned down the role of Anakin Skywalker, because of the age difference between Natalie Portman and himself. Ryan is a huge fan of Philadelphia sports teams (Phillies, Eagles, Flyers, 76ers). He enjoys cartoon making, photography, and writing.